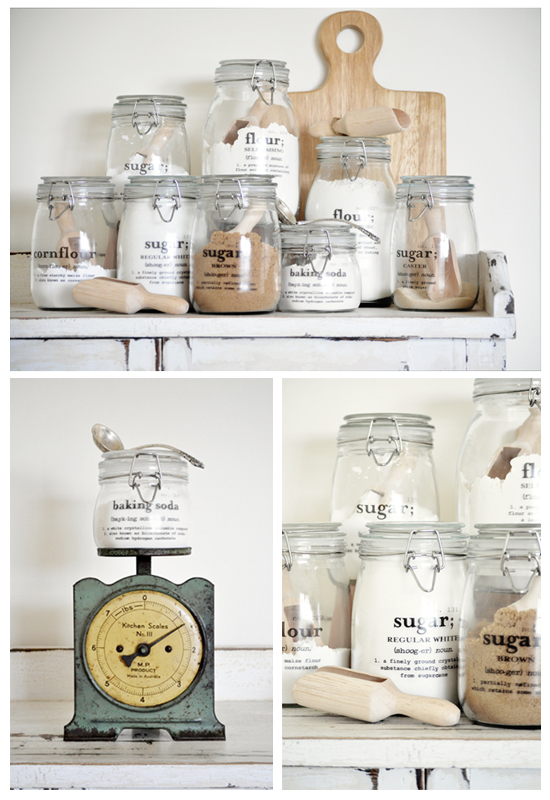 Love these jars (by the Painted Hive), I think these must look perfect in my kitchen. I would feel very organized if I had 'em.. Check out this link if you want to know how to spice up an ordinary Ikea Jar. Love this idea! So cute and original.